Some 70 species of these small iguanids occupy the Andes Mountains and more inland regions south from the equator to Tierra del Fuego. Various forms live in desert valleys or open plains; others ascend the ridges rising from 9,000 to 15,000 feet. 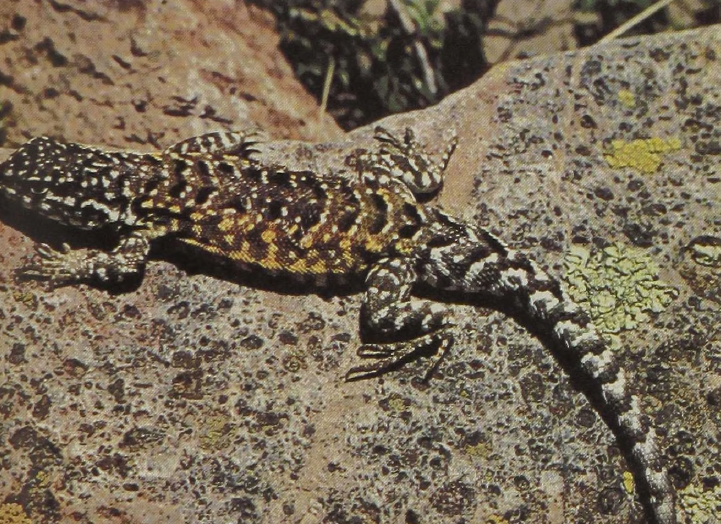 The 6-inch Mountain Iguana lives far above the tree and even the vegetation line in the screes just beneath ridges across which the wind blows continuously. Apparently, these iguanids feed on aerial plankton, small airboine arthropods, dropped off here by the air currents and in turn feeding on the mosses and lichens that are the only plants in this inhospitable environment. 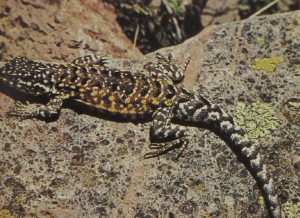 Thesesmall, live-bearing lizards manage to keep their body temperature some 30� above that of their surroundings by directly capturing the sun’s energy by basking. Some lowland species continue to lay eggs.